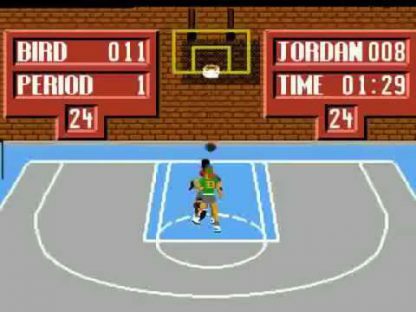 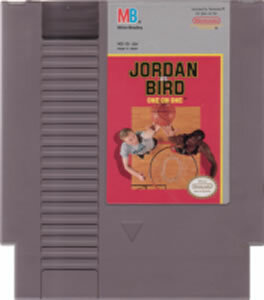 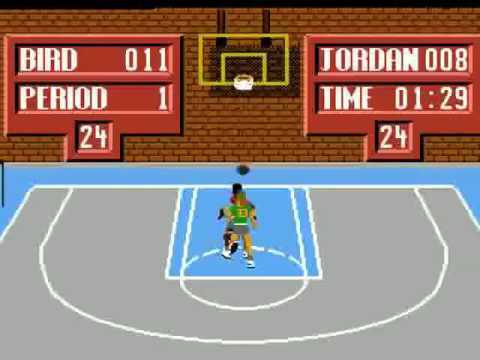 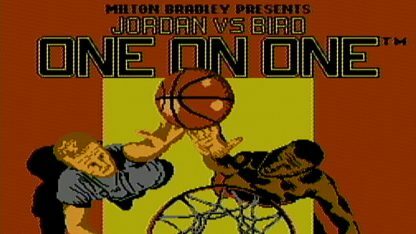 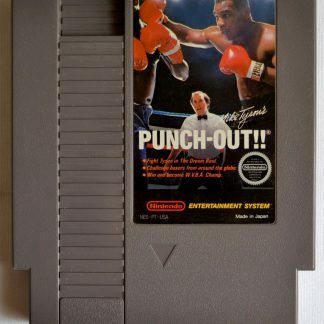 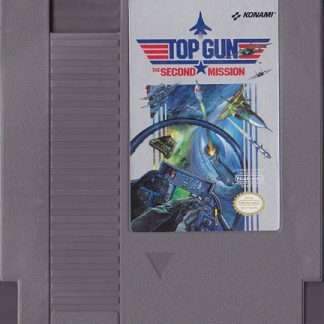 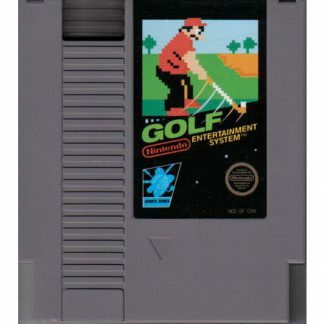 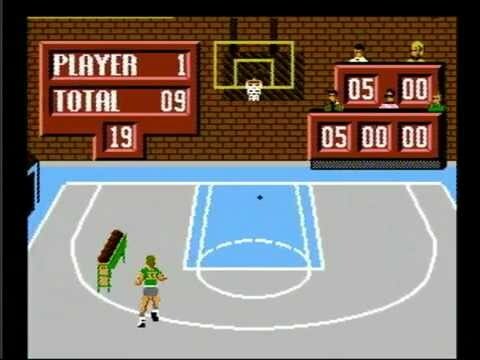 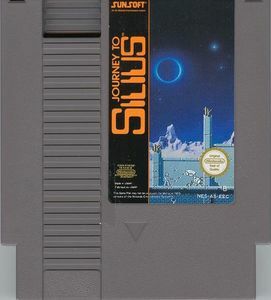 Jordan Vs Bird: One on One was developed by Electronic Arts and published by Electronic Arts and Milton Bradley and released for the NES in 1988. 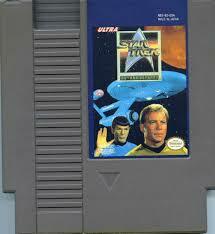 It is a basketball game and a sequel to One on One: Dr J Vs Larry Bird. 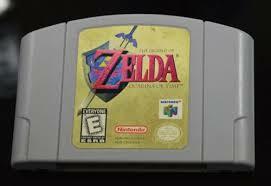 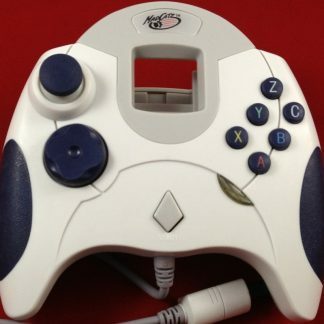 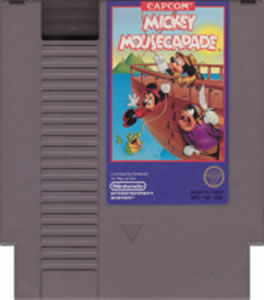 The two players available are Chicago Bulls’ Michael Jordan and Boston Celtics’ Larry Bird. 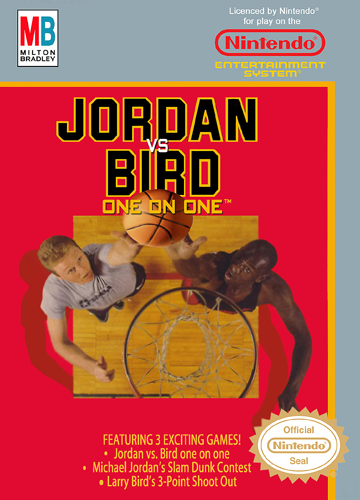 The player uses one or the other in a basketball game one on one. 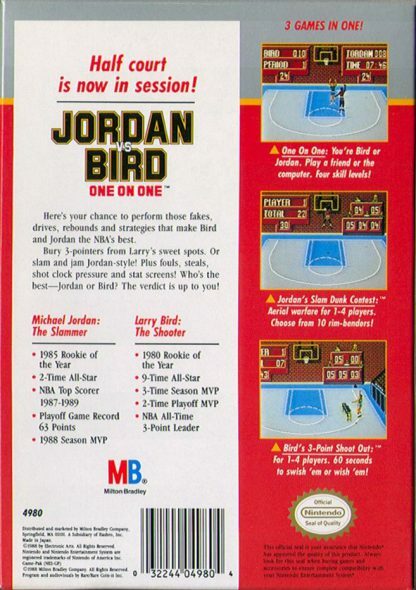 There was also a mini game for slam dunks using Jordan and three point shots using Bird.